Do I need to provide my own cleaning products and equipment? 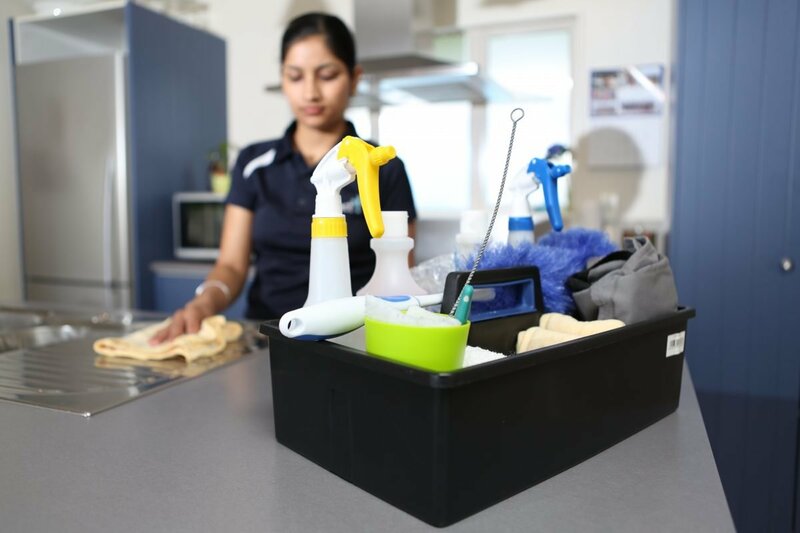 Cleaning companies usually provide their own cleaning products and equipment that is covered in the cost of the clean, however you may prefer to use products you are familiar with or have special requirements. If you are environmentally conscious and would prefer to use eco-based products or have sensitive skin, so are reluctant to use certain brands, then it’s best to discuss this with your cleaner so you can supply alternatives. It’s unlikely to be an issue, however it won’t reduce the cost of the clean. Do I need to leave instructions for my cleaner? It’s fine to leave special instructions for your cleaner or you can go through items in person when you first meet them. These could cover things like where to leave the house key, if there’s an alarm and any other special instructions. If you have one off requests that will require extra time, like cleaning the stove, then it’s best to discuss this with your cleaner in person as it’s likely to incur additional charges. Do I need to move ornaments or surface objects before the cleaner arrives? A cleaner will move items when cleaning surfaces but if anything is precious that you worry may get broken, like family heirlooms, it’s best to put these away. If you tidy surfaces of clutter or papers, especially areas that need to be wiped or dusted, before they arrive then the cleaner can provide a more thorough service for you. Do I need to provide my cleaner with a house key? You can expect that a cleaner from a reputable cleaning company will be honest and have had background checks done so you can trust them to be in your home when you’re not there. However for peace of mind, it’s usually a good idea for you to be home to let them in for the first clean so you can get to know them a bit. After that, it’s up to you whether you want to provide a house key but it’s useful if you’re not going to be around on cleaning days. Alternatively you can arrange to hide a key somewhere safe on the property. Do I need to lock my pets away when my house cleaner arrives? This is definitely something you should discuss with your cleaner at the time of the quotation. To avoid dogs getting in the way, it’s a good idea that they are kept outside or off site so the cleaner can get on with the job. Do I need to pay my cleaner directly after each clean? Most cleaning companies will have online banking and will arrange a payment schedule with you when you first make an enquiry. However, if you prefer to leave a cheque for your cleaner after each clean then that’s usually fine as well.